At FireCatt, we understand how critical service testing your equipment is to the safety and performance of you, your team and the community’s assets. It can mean life or death. We also know how time consuming, dangerous and labor-intensive service testing can be. We consider it our privilege to provide the most precise testing services to the firefighters bravely serving our communities and will accept nothing less than your total satisfaction. No one knows your equipment as well as you, and we respect that. Throughout the entire FireCatt testing process, we will consult with you — from the initial phone call to the final test-day cleanup — to ensure we understand your priorities, provide the most seamless, professional experience and deliver the highest level of customer satisfaction. An initial phone consultation helps to understand your testing priorities, answer your questions and concerns and schedule and coordinate all logistics such as site location, hydrants, standpipes or tenders (how we will get to your water supply). A confirmation email and phone call prior to testing day to confirm and address any last-minute questions. During this demonstration, FireCatt technicians encourage the fire chief and other key team members to tour the Mobile Test Lab and witness the testing in progress. We want your team to understand the hose testing process, our technology and identify ways to use the results produced to your safety advantage. Team leaders and hose technicians, all experienced, trained and uniformed, run the testing from the first handshake upon arrival to repacking and meticulous cleanup before departure. 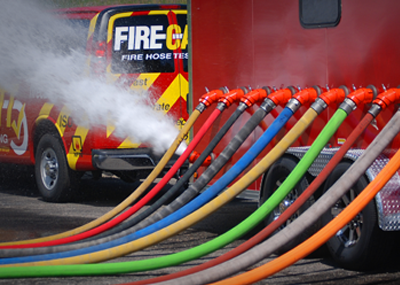 The process consists of testing your equipment using the FireCatt patented, proven testing technology — the only computerized, automated and objective hose testing tech­nology in the nation. If a hose fails, we mark the failure area, attach a failure tag to the area and pull it from service. All hoses are encoded with a barcode that correlates to your testing report so you can track the date of the test, see how the hose performed and verify the pass/fail condition of all of your equipment. When testing is complete, the FireCatt team walks the grounds to make sure everything is neat, tidy and just the way it was found. We never test on grass or gravel because it is hard to detect leaks and messy when repacking your valuable equipment. 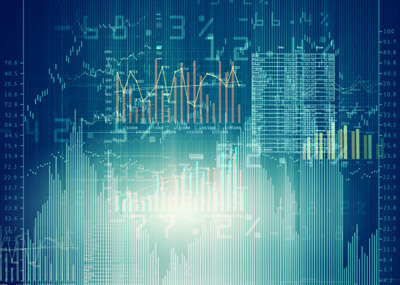 We’ll store your data on our secure server so you can also download and review your equipment history at any time in the future. I just wanted to send a thank you to you guys. 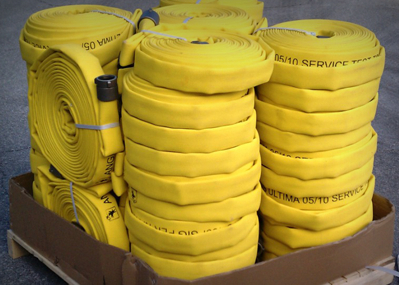 It was a long day of testing 12,000 feet of hose, and I have to say the guys you sent did an awesome job. They were very easy to work with and they worked their tails off! It was a pleasure working with FireCatt this year. I look forward to working with you in the future. We are grateful you built the best technology for testing, because at the end of the day, if the hose fails, nothing else matters. I understand you and your staff were able to test our hose successfully even in far less-than-desirable conditions. I appreciate the dedication of your employees in doing so. We are much appreciative of your efforts and look forward to working with you again next year. I would highly recommend your services to anyone that is on the fence on contracting these services out. The only issue was I wish I would have done this years ago. It went great, the guys got a few sprinkles but got it all done in one day. Fabulous group to work with. It is always nice that the crew remembers the trucks from last time and put it all away the way they found it. Thanks again for a good job. We think the testing process, with your company, was awesome. The crew that came to Hartford Township was great to work with, and are exceptional workers. We will defiantly pass on to other Departments, what a great experience it was to use your company to do our hose testing, and we look forward to working with you for years to come. Thank you. The crew that came to Douglas County did a really great job and worked as a team. They were on the job on time and had our hose tested in a timely manner. These past years of having your company come in and do the testing for us is the only way to go and is sure painless on our part. Please thank them for a job well done and look forward to next year.